I am both honored and humbled to be part of the Masjid al-Wali project. The idea for a dedicated place of worship for Muslims in Edison was sparked by the suggestion of my Shaykh and guide of almost 40 years, Maulana Muḥammad Yusuf Islahi of India. Over the past year, we have witnessed such strides in the progress and growth of this project, which can only be described as blessed and nothing short of miraculous. At this foundational juncture in our community, I would share with you an image that always remains in my mind, an image that can provide inspiration and direction to any growing community. In the dusty plains of Mina in ancient Arabia, an astute businessman observed a scene which remained forever etched in his mind. He saw a single man come out of his tent, look towards the sun and begin going through a series of motions. A woman came out of the tent shortly after him, and began doing the same. Then a young boy came out of the tent and followed them in the same. That man was our Prophet Muḥammad, peace be upon him. That woman was our mother Khadijah. And that boy was our Imam Ali. They were praying to Allah. At that moment, they were the only believers. This moving portrait was one of the very first public expressions of our Islamic faith. This is in fact where our public story begins. Our tradition began with a man, a woman and a child. Let every Islamic community and institution remember that. My years of experience and study have inspired me to an absolute, unreserved appreciation for the Majestic words of the Creator that are in the Qurʾān and the never-failing ocean of wisdom that is in the life-legacy of the Prophet, peace be upon him. These two treasures are our salvation, and I seek to share that love and appreciation with others. I know that I am utterly lacking in the qualifications for this task, but at the same time, I am confident that under the direction of my esteemed mentor Dr Hatem El-Haj and the sincere support of each and every member of the community, we can succeed at building a model society that will augment and support existing institutions in the Muslim community, as well as provide leadership and guidance to others. I invite all of you to embark on this journey of character-building and community-building. 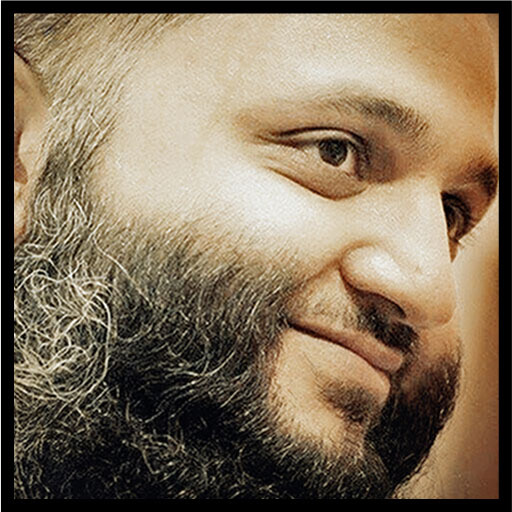 In anticipation of our upcoming meeting with one of the great living scholars of ḥadīth in India, I am releasing a brief biography. 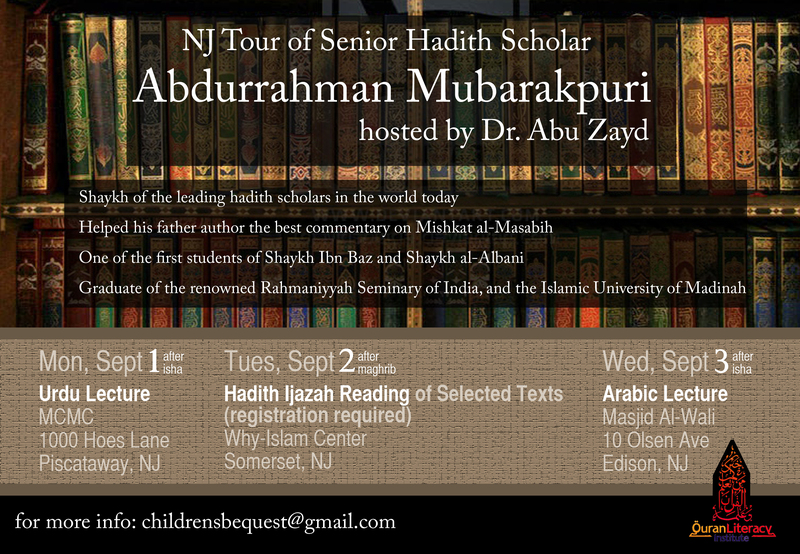 I ask Allah to grant us immense barakah in this upcoming tour. One of the earliest manuscripts of Tuhfat ul Atfal, from the al-Azhar Library Collection 385/29810. The poem Tuḥfat al-Aṭfāl, authored by the Egyptian scholar Sulaymān Ḥusayn al-Jamzūrī [died circa 1198AH/1783-4CE], has been memorized, taught and kept alive by countless individuals since its authorship more than two centuries ago, making it the single most utilized resource for learning Tajweed to this day. 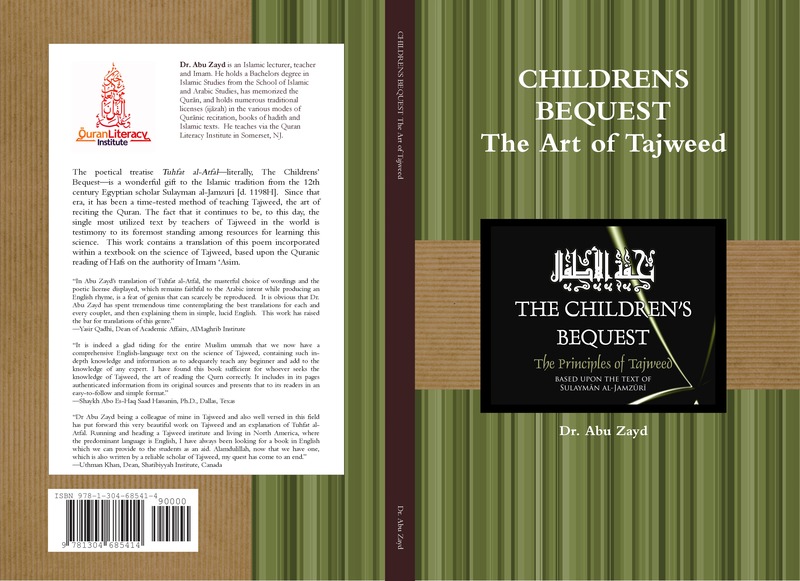 Since that time, it has continued to be transmitted in the traditional manner, in the line of great classical works of Islamic learning, complete with formal authorization (ijāzah) and chains of transmission (isnād) tracing the line of one’s teachers back to the author. 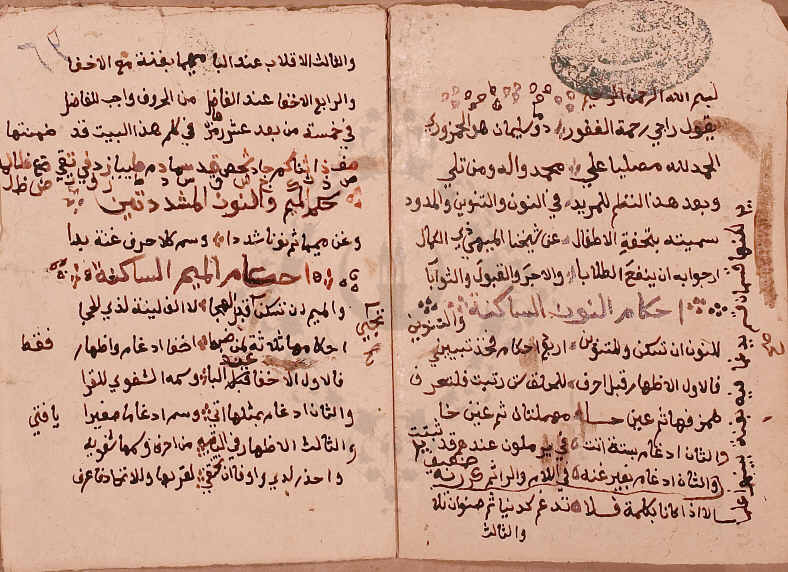 These documents exist across the Muslim world in various shapes and forms, handwritten, transcribed and sometimes even oral; at times free-standing and sometimes as part of larger written works.